← Homemade Baking Soda Clay Ornaments Review – Does it Work? Microwave popcorn is a quick, easy and tasty treat. Unfortunately the commercially available products may include unhealthy oils, and toxic artificial flavorings. The bags are also coated on the inside with perfuorooctanoic acid, a known carcinogen. Is it possible to use a plain brown paper bag to make your own healthy, all natural, chemical free microwave popcorn? This method won’t work for you if you’re part of the anti-microwave school of thought. I love popcorn! There’s something so yummy and special to me about this savory snack. When I was young, my dad would always pop some up on Friday nights and let us stay up late listening to a special gospel music radio program. (No, I didn’t grow up in the 1930’s, but I did grow up in a very conservative Midwestern no television household). I loved watching the electric popcorn popper spin the corn and oil round and round until the kernels started popping. As I grew older microwave popcorn was starting to come into vogue, and the old electric popper died. Pretty soon microwave popcorn was the cultural standard. I snacked on it through high school, college, and through my early “grown-up” years. But when the news started coming out that the chemicals used to manufacture microwave popcorn were dangerous, I started eating less and less of it. By the time I became a crunchy mama, I had (sadly) stopped eating popcorn almost completely. On a whim one day I picked up a bag of popping corn at Trader Joe’s. I thought it might be fun to show the kids the “old school” way of popping corn. We heated some coconut oil and butter in a stock pot, dropped in the popcorn, and had lots of fun watching it transform into a crunchy, fluffy snack. It was sooooo yummy, with no worries about sketchy chemicals or that weird coating on the roof of my mouth. The only part I didn’t like was cleaning up the greasy pot at the end of the night. Then I discovered that you could pop corn in the microwave in a plain old paper bag! I definitely had to try out this Green Idea! I went as simple as possible:I put a scoop of popcorn in a paper grocery bag, folded the top over, and put it in the microwave for a few minutes. When the popping slowed almost to stopping, I pulled it out and opened a bag full of fluffy, hot, beautiful popped corn. It totally worked!! I’m so excited about this new, simple, no mess way to make popcorn! It’s a great option if you are trying to cut the fat, and the toxins. I’ll admit that I still melt a little real butter to drizzle over the popped corn, but the no pot to wash is a big bonus for me. I absolutely recommend this method, and will definitely use it often moving forward! Have you ever made your own DIY microwave popcorn? What’s your favorite way to prepare it? This entry was posted in In the Kitchen, Real Food and tagged better for the earth, better for you, cooking, easy, homemade, popcorn, real food, recycle, reuse, saves money, saves time. Bookmark the permalink. 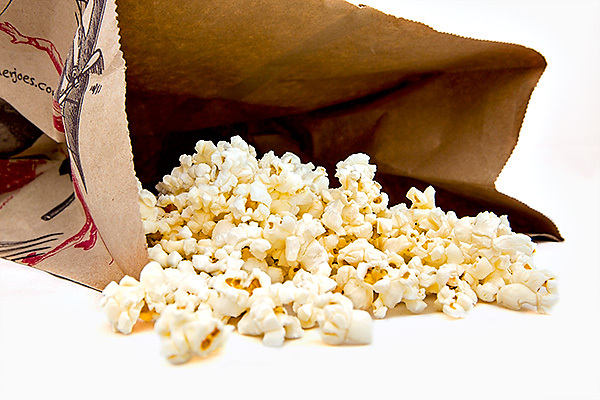 10 Responses to Microwave Popcorn in a Paper Bag Review – Does it Work? Oh yeah, it totally works. If you like popcorn you gotta try this!! My popcorn-loving daughter tried this, but didn’t like the old maids that were left unpopped. Shekept putting unpopped kernels back into the micro, and then the smoke alarm went off! I ran to the kitchen just in time to remove a burning paper bag from the microwave. Please, if you do this, stay in the kitchen with little ones so they don’t burn your house down! My “little one” isn’t little at all, so maybe I should have said, “make the pipcorn yourself, toss the old maids, and then go on with your household tasks. I thought all popcorn lovers already knew this….The good thing is that it takes less than a minute to have a full bag of healthy popcorn and you can “re-pop” the ones that haven’t popped by putting them back in the MW (I remember that they simply burnt in the pot method). We recently discovered this too. My son loves making popcorn this way. I microwave pop corn in my biggest glass bowl. I pour some oil in the bottom and add 1/4 to 1/2 cup of kernels. I cover it with a clean dish towel. The towel allows for some venting but keeps the kernels in. About 4 min. Listen for it. The bowl will be hot so I use the dish towel to pick it up. I just stumbled on to your recipe for “paper bag popcorn” and since popcorn is one of my favorite low cal snacks, I plan to try it. I do have a question, are there any questionable/dangerous chemicals in the materials used in the manufacture of most brown paper grocery bags. If so, would the use of a microwave have an adverse affect on the popcorn and/or those consuming the popcorn? Any info? 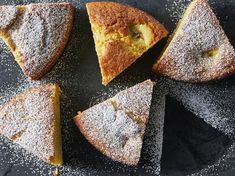 Thanks for all your tips, ideas, and recipes. Great stuff! Pingback: Cancer-Causing Foods That You Should Never Eat Again!!! I discovered this method a few months ago, and we’ve been popping corn this way weekly ever since, usually in lunch bags but sometimes in grocery bags. Tonight I used a grocery bag and it caught fire. The whole thing was in flames; fortunately I was able to get it into the sink and douse it (which still took a while) and no harm done besides a smoky kitchen and some fright. Not sure what made tonight different than the other nights, but I’m not using this method again. Just wanted to warn everyone!